As expected, Katy Perry dropped by Facebook yesterday to make the big announcement about her new 41 city North American Tour. Everyone (including us) got all a-twitter about what the tie-in to the social network could be, where she already has 17M friends. Well, here it is. Using Facebook Places/Deals, fans will be able to "check in" to the venues each night, becoming eligible to receive various prizes and rewards. Fans will also be able to submit their own photos of the show via Twitter which will be incorporated into the live show and also live on www.katyperry.com. In addition, Katy has also partnered with I Love All Access to provide a variety of VIP ticket packages, including premium seats, meet and greets, photo ops, pre-show parties and more. Here's the interesting part (to us). 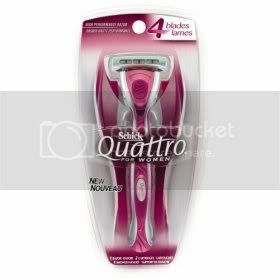 The tour, which starts in June and runs through mid August, will be sponsored by SCHICK QUATTRO FOR WOMEN. And there you have it. Here's the live video announcement from the center of the social networking universe.